This could be you child’s first art lesson, and a lesson with you to celebrate Mother’s Day! 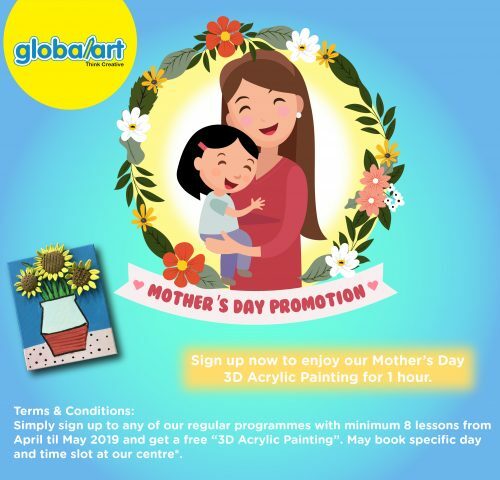 Sign up with us from until May 2019, and enjoy this free workshop that you and your child can enjoy together. Please call the centre you wish to sign up at, for more information!